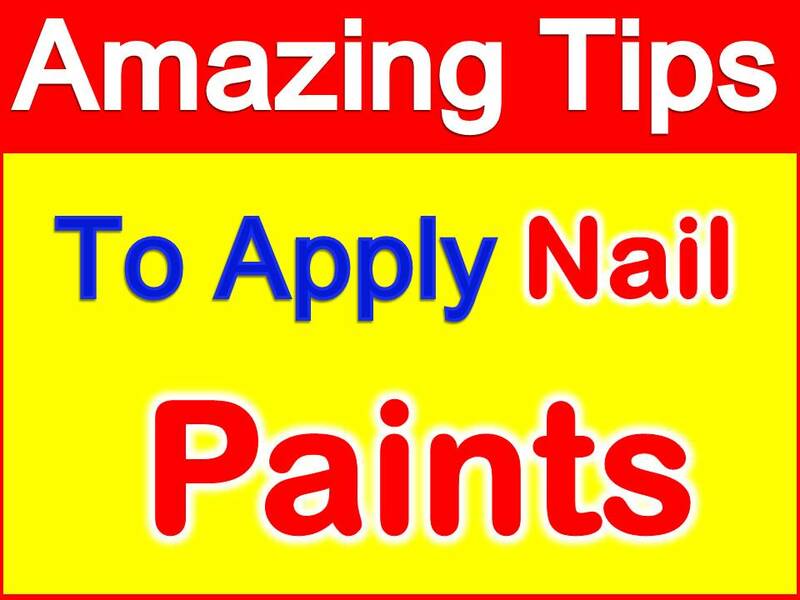 How to apply nail paint- Nail polish is a liquid that is used to paint fingernails and toenails. Nail polish is a thick liquid that women paint on their nails to make them shiny and beautiful. Usually women apply Matching color nail polish according to their dress because it has an always equal glamour for them. Nail paint is also like clothes we can match it to what we are wearing and change it depending on the mood we are in. Women like to paint their nails with different nail colors. Some prefer to do so occasionally while some like to wear nail colors all the time just for fun. Wearing nail polish makes the hands and fingers look pretty and beautiful. 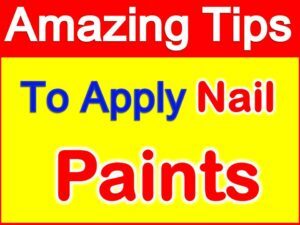 Sometimes women generally they always do a common mistake while applying nail polish but no need to worry about this because we provide you some best and easy tips to apply nail paint properly it will help you for applying nail paint perfectly. How to apply nail paint- When you apply the Nail Paint at home, firstly you should see the condition of your Nails. If your nails are dumped, broken or small then first you have to fill them. After this, put your hands in lukewarm water for a while. By doing this so, any art made on your nails will last longer. How to apply nail paint- After the condition of nails, put a basic coat on them. Because Basic coats protect our nails from damage caused by nail paints. Doing this it does not stain the nails. But keep in mind that basic coats should always be a good brand or a good quality that is why it does not have Yellowness on the nails. When the first coat of nail paint get dry then put a second coat of nail paint. Apart from this remove the color surrounding the nails and give some time to dry. How to apply nail paint- After this, take a glitter nail paint and put it on your fingernails. These are just put to make your nails shiny attractive and beautiful. Also, do not put too much amounts of glitter because it will not make good impression by applying high amounts. After this make a little art on your nails. And wait till it dry. How to apply nail paint- Use shimmer after arts get dry. By doing this keep the nails in the stable position. So that the nail art does not get spoiled. 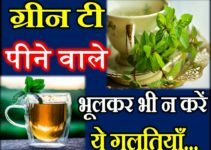 प्रश्न- क्या दो रंग की नेल पॉलिश को मिला सकते हैं? उत्तर- हां, नेल पॉलिश के दो रंगों को को मिलकर एक नए रंग की नेल पोलिश बना सकते है. प्रश्न- नेल पोलिश लगाने के तरीके? उत्तर- घर पर कुछ आसान तरीकों से अपने नाखूनों को पेंट करे. प्रश्न- क्या नाखूनों को रंगने के लिए ऐक्रेलिक पेंट का यूज़ कर सकते हैं? उत्तर- कई लोग ऐक्रेलिक पेंट को विकल्प के रूप में इस्तेमाल करते है. प्रश्न- नेल पेंट लगाने के बाद नाखूनों को तेजी से कैसे सुखाये? Question- Can you mix nail polish to get different colors? Answer- Yes, Choose two shades of nail polish and mix it carefully. Question- How do you paint your nails? Answer- Tree Strokes are all you need and always use base coat. Question- Can you use acrylic paint to paint your nails? Answer- When you creative base coat for nail art many peoples find using an alternative to acrylic paint is effective. Question- How can I paint my nails with my non dominant hand? Answer- Yes, you can easiest way to paint your nails using your non-dominant hand. Question- How do you make your nails dry faster? Answer- Take a bowl with cool water and some ice cubes Paint your nails and let them air dry for one minute. Dunk your fingers in this bowl for two to three minutes.